GUILDERLAND- John Monty, age 86, passed away at the Teresian House on April 9, 2019 with his wife “Jan” by his side. John was born on March 24, 1933 in Altona, NY to the late John and Alice Monty. He graduated from Altona Central School in 1950 and from Long Island Ag & Tech in 1952. He went to work for G.E. in 1953. He and Jan were married in 1954, just before John left to serve his country in Korea. He then returned to college and graduated from the University of Kentucky in 1961, attaining a Mechanical Engineering degree. He returned to G.E., where he climbed the career ladder working in International Gas Turbine Product Service. John retired from G.E. in 1992 after working 38 years. John and Jan were married 65 years and are the proud parents of two sons, Jeff, who has special needs and lives in a group home in Delmar and Jason and his wife Corinne live near Seattle in Issaquah, WA. Also surviving is a granddaughter, Genevieve, who lives in Hoboken, NJ, but is in the process of moving to San Diego, California to continue her career in advertising. John loved hunting, fishing, camping and after retirement, golf. 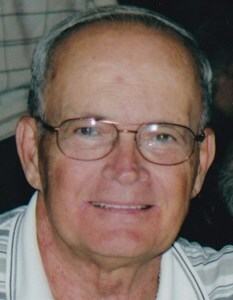 He and Jan purchased a home in Ocean Isle, NC and enjoyed traveling back and forth until John became ill with Dementia. In 2004 they sold their homes in NC and Guilderland and moved to the Avila Retirement Community. Two years later John moved to the Teresian House. A Roman Catholic Mass will be celebrated in the Infant of Prague Chapel at Teresian House on April 16, 2019 at 11:00 a.m. with Father Jeffrey L’Arche officiating. The family will receive friends prior to the service from 10 to 11 a.m.
A donation in John’s memory may be made to: Wildwood Programs, 2995 Curry Rd. Extension, Schenectady, NY 12303 would be very much appreciated. Arrangements are entrusted to New Comer Cremations & Funerals, Colonie, New York. Add your memories to the guest book of John Monty. I was sad to read of John's illness and death, but have many fond memories of working closely with him and Jan for Jeff's educational program at Guilderland. John was a strong advocate not just for his son but for all students needing individualized programs and services. His tireless efforts helped Wildwood become what it is today and I may have purchased more raffle tickets from John than anyone else I've known. Both John and Jan welcomed me into their lives, home, and family and that became one of the highlights of my teaching career. Our heartfelt sympathy on your loss. Our prayers are with you.